Scott Talbott is—and has been—in a difficult spot. The way that politics work in his state he is disincentivized to act on what the science is telling him. The director of the Wyoming Game and Fish Department was sitting on an elevated stage at a theatre in downtown Bozeman, Montana, attending a media summit hosted by the Theodore Roosevelt Conservation Partnership. The topic: deadly Chronic Wasting Disease. CWD is the always fatal plague—a cousin to dreaded Mad Cow Disease—that strikes members of the deer family, including mule deer and whitetails, elk, moose and caribou. Its pathogen is a misshapen protein called a prion that is not a living organism but a menace that when activated in its victims attacks the central nervous system and turns brain tissue into the equivalent of swiss cheese. Throughout the morning Monday, August 27, 2018, Talbott was among a panel of wildlife experts discussing CWD’s alarming progression which now has reached 25 U.S. states and three Canadian provinces. As millions of American hunters ready themselves for the autumn big game season, CWD is an acronym that has become synonymous with grave concerns about whether meat from harvested animals is safe to put on the dinner table. While to date there has not been a documented case of a human getting sick and dying from eating a CWD-infected animal, the possibility exists and it was not discounted by experts gathered in Bozeman. Yet even without any cases yet of CWD crossing the species barrier and posing a threat to human health, fears about potentially devastating impacts on wild ungulates is significant. Soon, because of its imminent arrival in the Greater Yellowstone Ecosystem, CWD is on the verge of making national headlines in a way it has not before. Any day now, the disease is expected to arrive on the National Elk Refuge or in any of 22 elk feedgrounds operated by the state of Wyoming. Together, they are home to the most famous wapiti herds in the world and, to hunters, represent animals that hold as much global mystique as Yellowstone’s grizzly bears. Although there remains widespread uncertainty and in some cases disinformation and downplaying of CWD’s deepening impacts, that part of the wildlife conservation community led by hunters is deadly serious in expressing its concern. And the more that it does the more that Wyoming finds itself isolated and alone in trying to defend a controversial wildlife management practice almost universally condemned. Those sentiments were echoed by Dr. John Fischer, director of the Southeastern Cooperative Wildlife Disease Study at the University of Georgia’s College of Veterinary Medicine; Dr. Jonathan Mawdsley, science advisor for the Association of Fish and Wildlife Agencies; Dr. Krysten Schuler, wildlife disease ecologist at Cornell University’s Animal Health Diagnostic Center; and Matt Dunfee with the Wildlife Management Institute and CWD Alliance (comprised of major hunter membership organizations). Indeed, the primetime panel dinner discussion was titled “Why are hunters debating about CWD when we should be taking action?” Earlier, Brian Murphy, CEO of Quality Deer Management Association, noted that hunters and some state agencies remain in denial of CWD's potential impacts and he said, for the first time, the sporting community appears to be coming together. Everyone suggested that hunters get their meat tested, especially if they have taken an animal from a known CWD-endemic area. 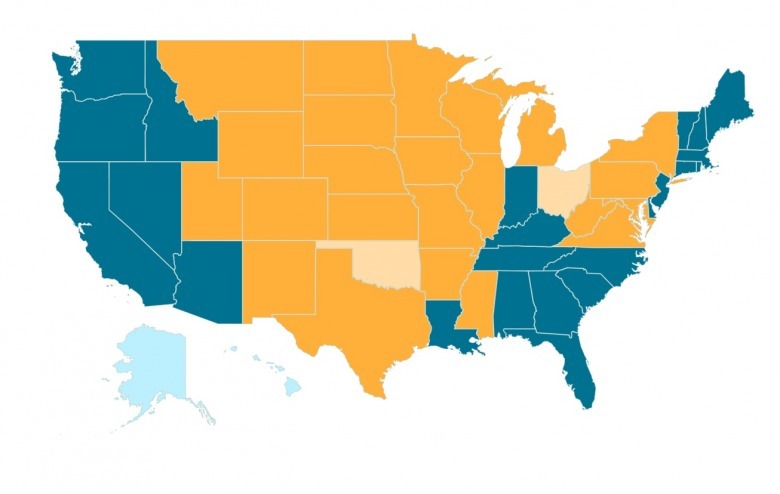 Many states have adopted prohibitions on moving dead and live ungulates across state lines and imposed bans on hunters using deer urine as baits. Still, panelists said, countless numbers of game animals are transported in and out of states every year. Fischer added that the federal Centers for Disease Control, which recommends that people not eat meat if it tests positive, is closely monitoring states like Colorado, Wyoming and Wisconsin with higher rates of CWD prevalence and lots of hunters. The primary focus is on young people, just as it was in Britain with tracking cases of Mad Cow related to contaminated beef. States in orange show where CWD is now present. Map courtesy CWD Alliance. Wyoming’s Talbott was not in the hot seat per se but he’s feeling heat. 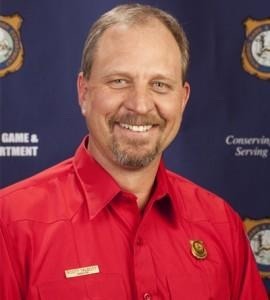 On the one hand, as a professional public servant and longtime game manager with three decades of experience, he answers to the governor, members of the politically-appointed Wyoming Game and Fish Commission, and to laws put on the books by the state legislature. Within Wyoming, many lawmakers still appear to be in denial about CWD. On the other hand, Talbott knows what the science says. It is unequivocal and he was given yet another reminder by the experts joining him on the panel discussion. The overwhelming consensus from professional scientific bodies specializing in wildlife management and infectious diseases is that it’s a bad idea—and tremendously risky—to bunch together large numbers of animals around artificial feeding stations created by humans. History has shown it is a recipe for potential disaster in fostering the arrival and spread of contagious pathogens. Yet that’s exactly the real-world scenario that exists today in western Wyoming on the National Elk Refuge and state-run feedgrounds—many of the latter located on federal public lands administered by the U.S. Forest Service and Bureau of Land Management. There persists an open-ended question about who, exactly, possesses the authority to halt the artificial feeding of elk in Wyoming. 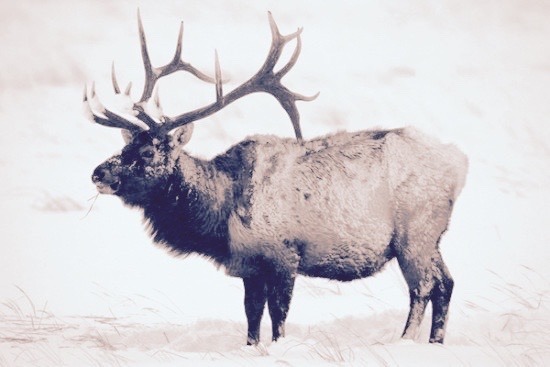 Regarding the National Elk Refuge, the power to end the century-old practice of nourishing wild wapiti with hay and alfalfa pellets appears to reside with the discretion of the national director of the U.S. Fish and Wildlife Service (a politically-appointed post still vacant) or with the Interior Secretary—in this case Ryan Zinke. While theoretically Brian Glaspell, the elk refuge manager, could order that feeding be stopped, it would likely incite an immediate backlash from Wyoming hunters, outfitters and guides who benefit from artificial feeding because it unnaturally swells elk numbers, aiding profits of outfitter/guides and increasing hunter success for those with elk tags. 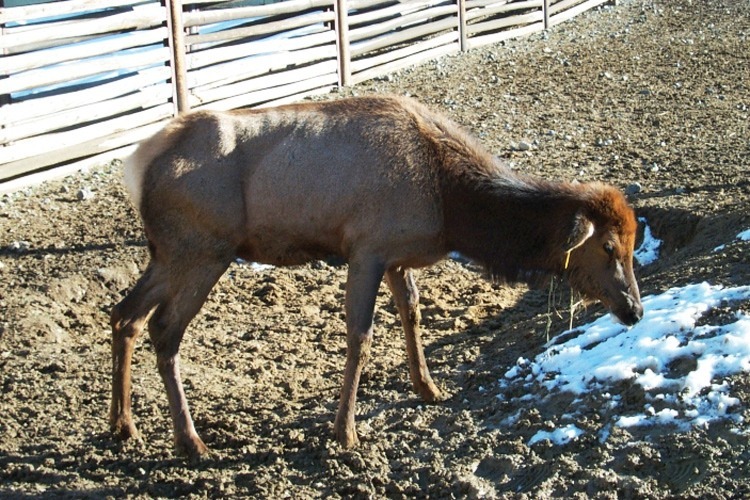 Ranchers also would complain, claiming that elk if not fed over concentrated feed lines would then scatter in winter and end up competing for grass or hay with their cattle, putting their livestock on private pastureland at higher risk to catching brucellosis, a disease problem paradoxically being exacerbated by artificial feeding. Quickly, it's easy to imagine, their outrage would translate into a political response, first registered by Wyoming Gov. Matt Mead and simultaneously from the three elected members of Wyoming’s Congressional Delegation who surely would complain to Zinke. The chances are good that either muzzling or disciplinary action would be brought against Glaspell in the form of a forced transfer or firing. That’s how this traditionally has worked. With regard to Wyoming’s feedgrounds, the ultimate authority to order their shuttering resides with the legislature, which is unwilling to take action that would require the governor's signature and implementation by Game and Fish. Hence, the same kind of fate awaiting Glaspell would certainly and probably also befall Talbott. The feeding of elk, however, was controversial long before the specter of CWD arrived. Brucellosis exists on the feedgrounds at relatively high rates of incidence. Bovine tuberculosis, hoof rot and other diseases hover as constant threats to wildlife health caused by the unnatural congregation of animals. Yet CWD represents a menace that, experts say, is an order of magnitude more worrisome. For one, it is always fatal, and though slow moving is believed to be population limiting if not population devastating. Second, infectious prions are shed into the environment so even if casualties are removed from the place they died and then incinerated, they still leave contaminated particles in the environment through urine, feces, saliva and decomposition of bodily fluids that remain for a decade or longer. Third, it is almost impossible to decontaminate vast areas of landscape once they become CWD hotspots, meaning they represent zones of possible continuous ongoing transmission of disease to healthy animals. Fourth, what happens on the elk refuge and feedgrouns does not stay there. 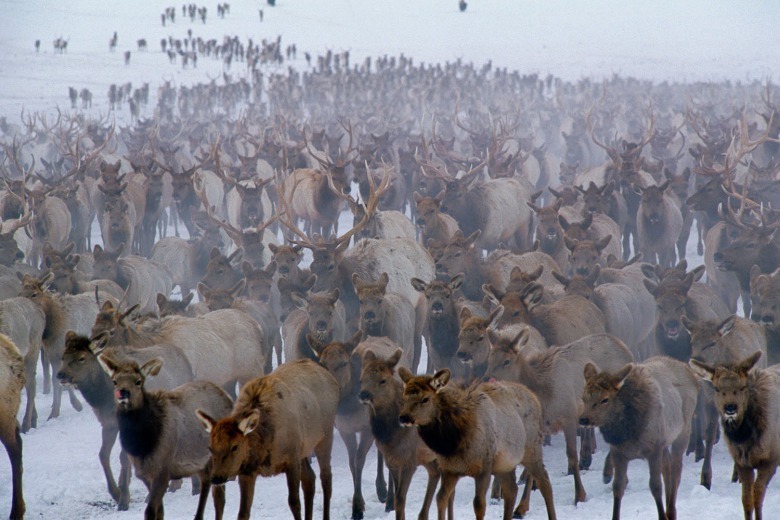 Animals move, and CWD-infected elk, mule deer and whitetails migrate over long distances. Because they can be asymptomatic of disease, they can travel as doomed carriers as the disease incubates, their illness undetected by humans and yet dispersing CWD across a wider geography. This means, for example, that elk wintering on a Wyoming feedground could carry disease into the central elk mixing zone in Yellowstone National Park putting them in contact with other herds and thousands of elk arriving from Idaho and Montana and then, in autumn, migrating back to distant winter range, most likely on private land, in those states. 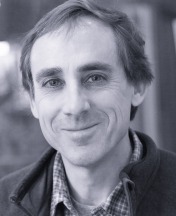 One of the most outspoken critics of feedgrounds has been professional conservationist and hunter Lloyd Dorsey who works as a Wyoming representative for the Sierra Club. As the conference in Bozeman demonstrates, Dorsey’s fears are shared by the majority of conservation groups representing the interests of hunters. When asked about Wyoming continuing to operate feedgrounds in the face of experts saying that the best strategy for stopping disease is to eliminate conditions conducive to its spread, Talbott acknowledged the contradiction. Wyoming Game and Fish, he said, will soon embark on a new public outreach program to help educate citizens about CWD and experiments are underway to limit feeding and keep densities of wapiti lower, he said. Looming large are a couple of inevitabilities prompted by the fact that CWD is literally on the doorstep of western Wyoming and its two crown jewell nature preserves, Yellowstone and Grand Teton national parks. CWD-infected mule deer have already turned up in Dubois, west of Cody, just outside Pinedale and in Star Valley, encircling Jackson Hole on three sides and a short stroll from the eastern border of Yellowstone. The biggest inevitability is that CWD will be confirmed in elk and deer on Wyoming’s feedgrounds. When it happens, alarm bells will sound, public land managers will be forced to take action, but the question is what? That invariably will be accompanied by citizen finger pointing at the state of Wyoming, the Fish and Wildlife Service and federal agencies like the Forest Service and Bureau of Land Management that together approved feedgrounds to operate. A number of panelists at the Theodore Roosevelt Conservation Partnership summit noted that another devastating consequence of CWD is the impact it's already had on the credibility of natural resource managers who are responsible for upholding the public trust, protecting the public interest and doing the right thing. In some states, inaction when it comes to confronting CWD has resulted in an erosion of public confidence in government agencies. Right now, no one can predict what the arrival of CWD means for Greater Yellowstone and its nationally treasured wildlife. The only certainty is this: if it turns out badly, it won’t be just agencies that will be held to account but the people who are—and were—making the decisions The public will never forget, and the media will be there to remind who was in charge.